One of the main headaches of Colombia’s next president will be neighboring Venezuela. Ivan Duque, the right-wing candidate hand-picked by the former president Alvaro Uribe, proposed to use the $300 million dollars destined for the peace process with the FARC guerrillas to finance “humanitarian attention” to refugees on the border with Venezuela. 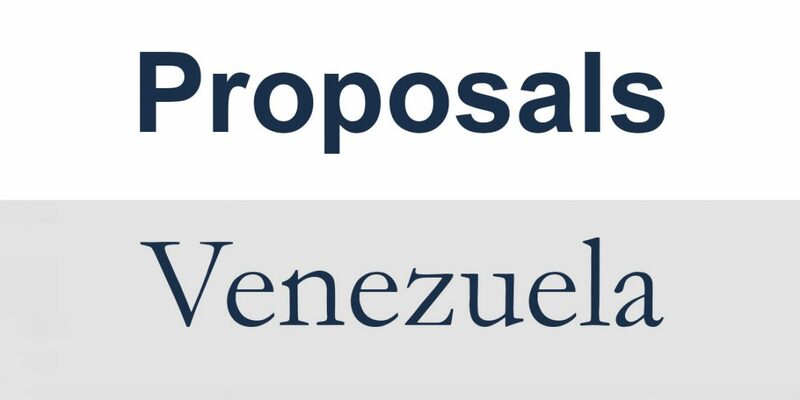 While he says Venezuelans should receive opportunities like Colombians did in Venezuela, he proposes that with other nearby countries they should agree on a temporary permit plan so that Colombia doesn’t continue to take the brunt of migrants. At a the Tele Caribe debate, he said he would learn from the Syrian refugee crisis in Europe. Leftist candidate Gustavo Petro proposed at the Tele Caribe debate to hold an international conference of what to do with Venezuelan migration like he said was done for Colombia during the displacement of its population in the 1990s and early this century. He also said during the debate that Venezuela serves “as a mirror to Colombia” for its reliance on the oil economy and that the next government must avoid doing the same. Centrist candidate Sergio Fajardo says he would strengthen controls to enter Colombia to prevent crime from the Venezuelan population. Fajardo told Radio Nacional de Colombia that his government would double efforts with mayors and governors to better receive the migrant population. Fajardo says he would continue to denounce the “21st-century dictatorship” against democracy in Venezuela to the international community and continue to push for diplomatic channels to reinstitute democracy. While Vargas Lleras calls for “solidarity” with Venezuelan migrants, he proposes greater border controls and deportations. “We are not prepared, a comprehensive policy of more control and deportation is required for thousands of criminals who are aggravating the issue of insecurity in all cities of Colombia,” Vargas Lleras told El Espectador.